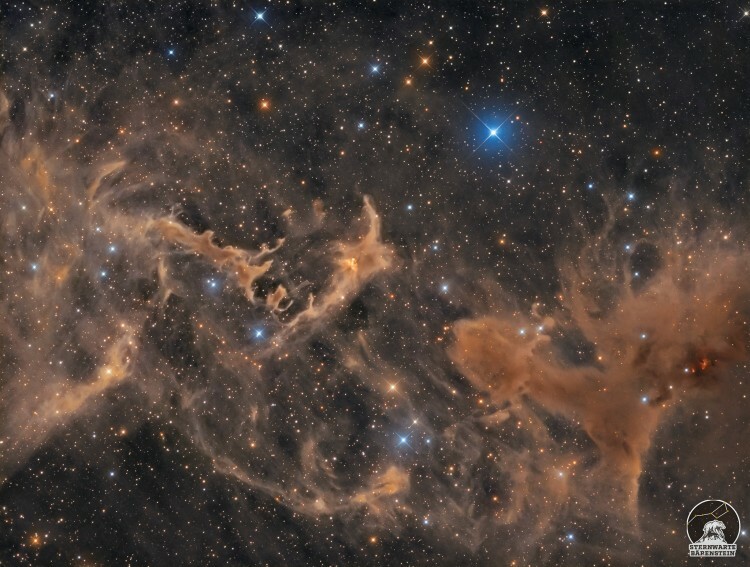 Marcel Drechsler, a passionate astrophotographer from Germany. Marcel is a graphic designer, freelance work, and he loves photography. 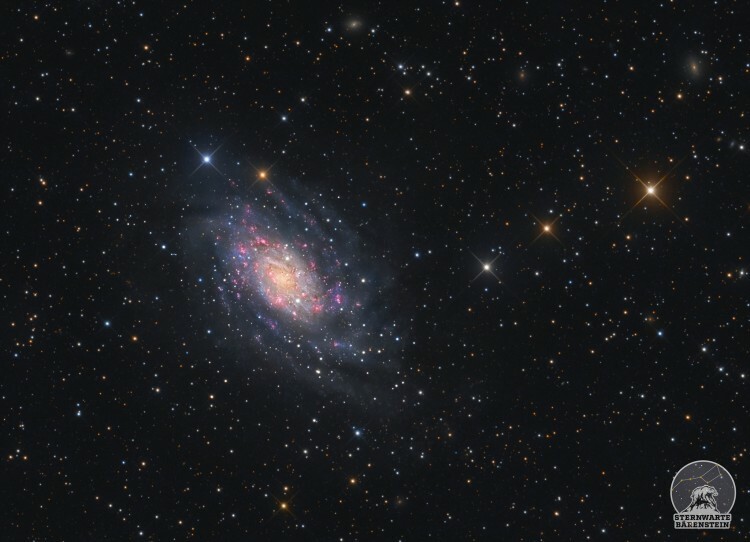 He started his astrophotography only 3 years ago, but already did some magnificant works. 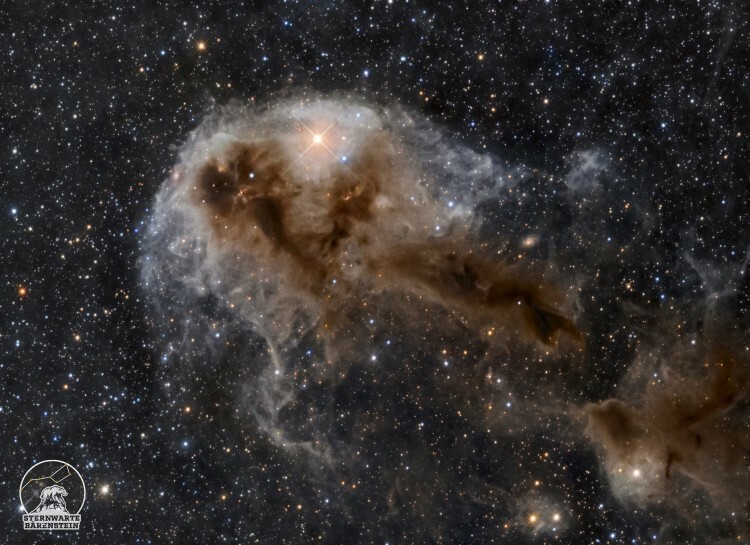 His amazing images was shortlisted for Greenwich astronomical photography competition 2018! Astrophotography needs patience and time. When we ask Marcel why putting up with all this? Marcel’s second major passion in astronomy is the discovery of previously unknown cosmic objects. 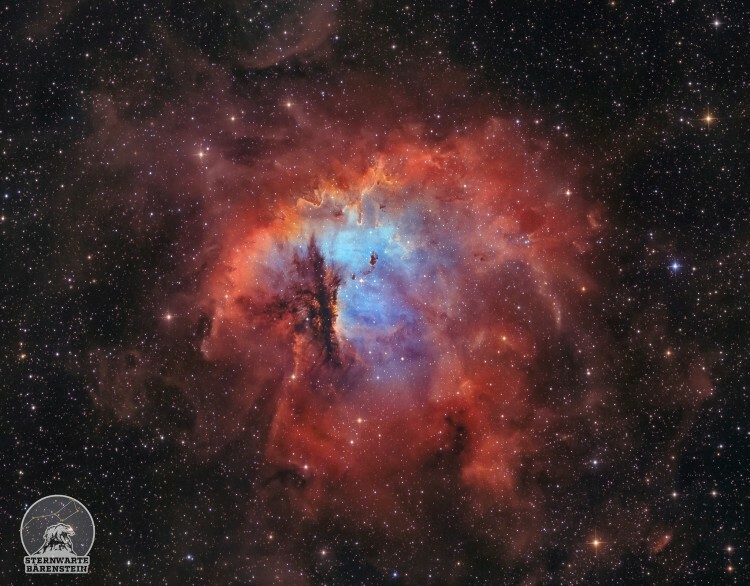 He is constantly searching for undiscovered planetary nebulae, galaxies and reflection nebula. Marcel’s photos are so welcomed in Astrobin.com, a lot of his works was marked “image of the day“. Q1: Hi,Marcel. Could you introduce yourself to everyone? 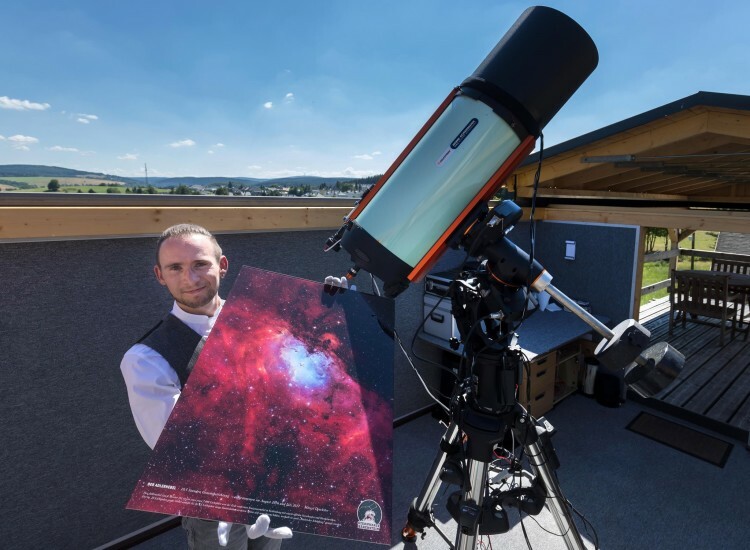 Hi, my name is Marcel, I am astrophotographer and hobby astronomer from Germany. There are two hearts beating in my chest. One is beating for science, the love of astronomy, cosmology and physics. The other one beats for the aesthetics and beauty of things and places that can be captured by photography. Astrophotography made it possible for me to combine both in an aesthetically pleasing overall picture. Due to my freelance work as a graphic designer, a passion for photography is indispensable. I have been photographing since my early youth. I started with astrophotography only 3 years ago. In the beginning with small equipment and my old DSLR camera at the telescope. Later I added bigger telescopes and the first DSLR cameras modified for astrophotography. 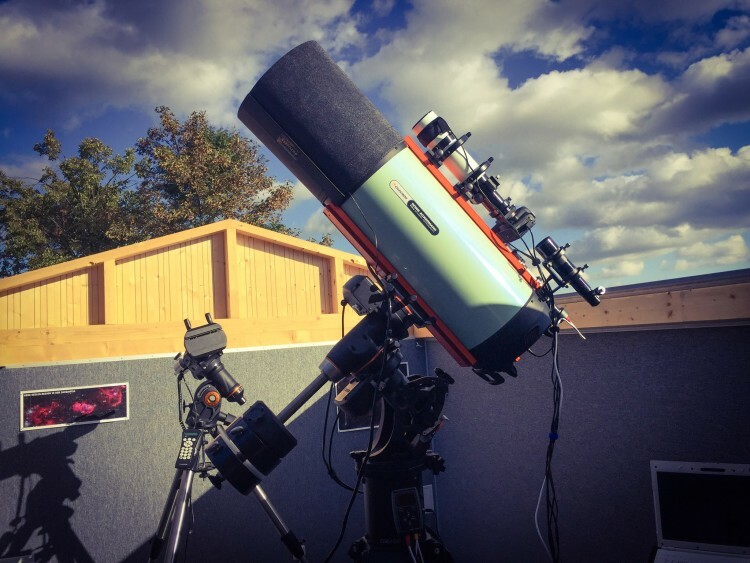 Gradually the equipment grew, the own observatory came in 2016. Gone was the time when I had to drive out to the field with all the technology and sometimes frosty temperatures to find a dark spot for my pictures. 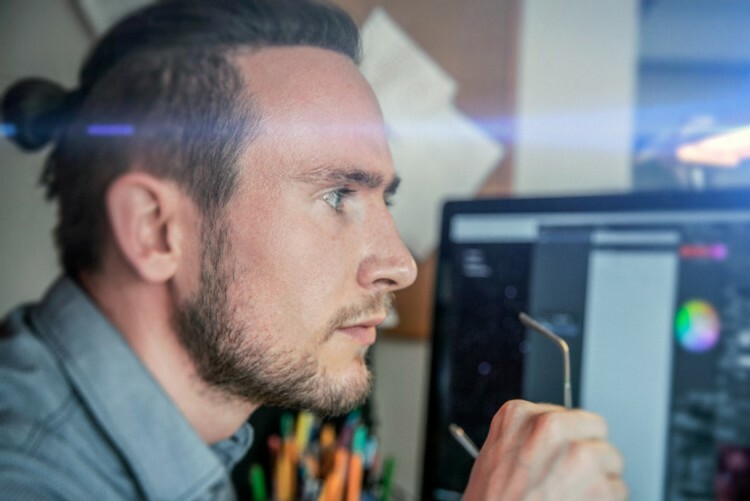 An observatory makes the work process much easier, because the time-consuming setup of the technology is no longer necessary and you can fully dedicate yourself to the exposures. For me astrophotography means to have the patience again and again to expose cosmic objects for weeks and months, to collect dozens of hours of exposure time and to tickle every photon out of a distant nebula. Often to stay awake for 3, 4 or 5 nights as a result, while normal people are lying comfortably in their beds, and then the next morning to go to work with big eyes anyway. 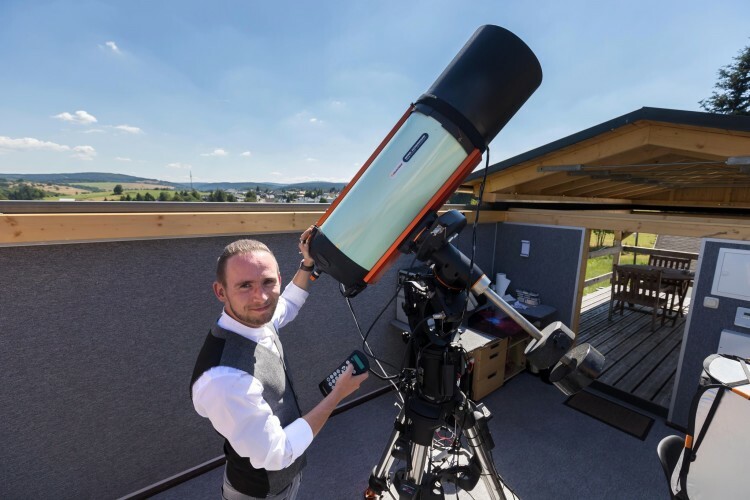 But astrophotography also means long dry spells of sometimes weeks to months without surviving a clear night, without losing the joy of the hobby and at the same time spending a lot of money on the necessary equipment and therefore foregoing one or the other holiday. And all these hardships for on average less than a single recording per month, which can sometimes involve up to 80 hours of total work. And why am I putting up with all this? Because I love it. Because it’s my passion and I can’t imagine a more beautiful hobby. With my photos I put particularly large value on a very deep exposure. There are no quick shots or short exposed objects for me. A picture is exposed as long as possible. Each target is carefully selected, planned and researched in advance over days and weeks. A perfect position of the object in the photo is the ultimate goal. Q2:Since when did you like astronomy? And when did you have your first telescope? What’s the feeling in first observing? 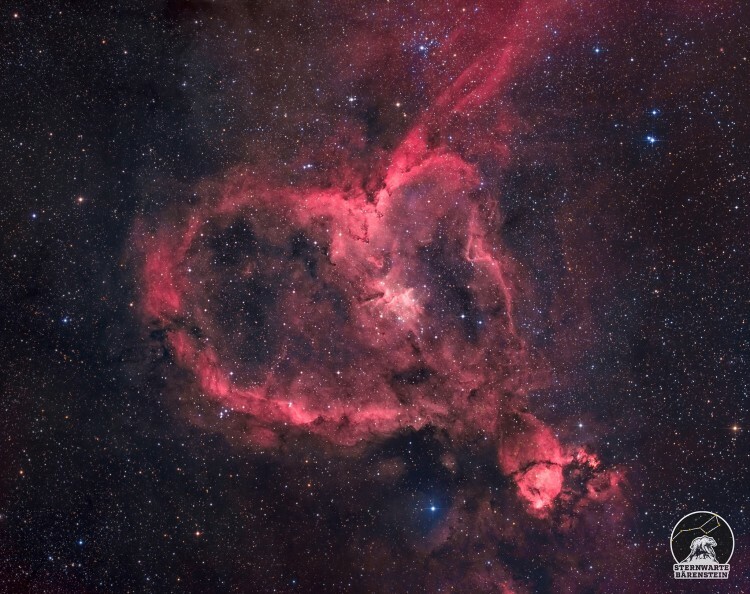 Can you really start loving astronomy? I think you just have it in your blood, at least that’s how it is with me. Since my childhood I was fascinated by the cosmos. I wondered how the universe was formed, how it works and how it will evolve. I bought my first telescope when I was 12 or 13 years old. I had to save money quite a long time and I even worked for it in my parents’ company during the summer school holidays. It was nothing special, to be precise, it was even just a cheap refractor telescope with a lot of plastic. But I was a bloddy beginner and I was curious. The first look through the telescope was very impressive. If I remember correctly, it was the planet Mars that I observed first. It was a sublime feeling that I remember to this day very well. Q3: When did you start DSO imaging? 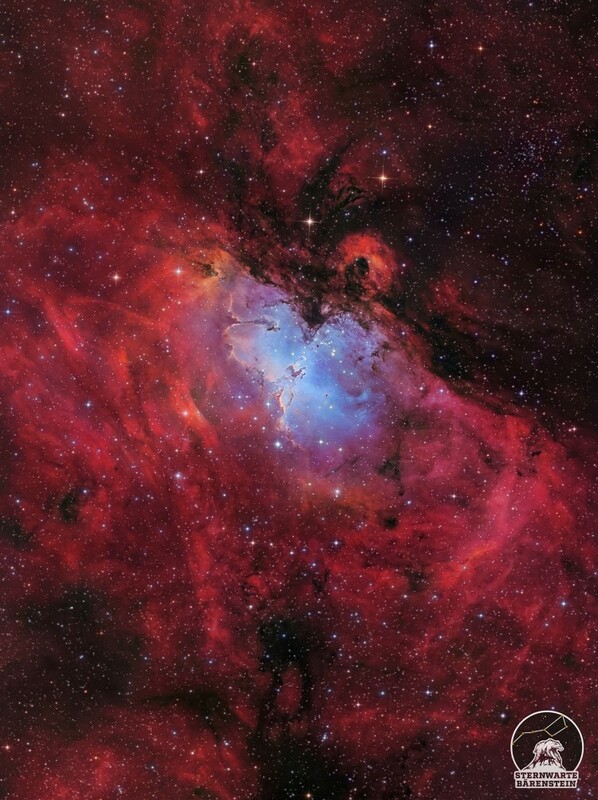 Do you remember your first DSO image? What’s the feeling? The trigger for everything was the 1997 comet Hale Bob. I quickly realized that my old telescope was not suitable for astrophotography at all. No tracking, no good optics and also the manufacturing of the telescope was not made for astrophotography. Nevertheless, Hale Bob sparked a spark in me. My first “real” Deep Sky photo was taken relatively late. That should have been around 2015. But this photo is very embarrassing for me today. But then it was an overwhelming feeling. My very first object at that time was M31. That seemed to me to be a worthwhile goal for the beginning. The feeling of having photographed something so far away for the first time can hardly be described. 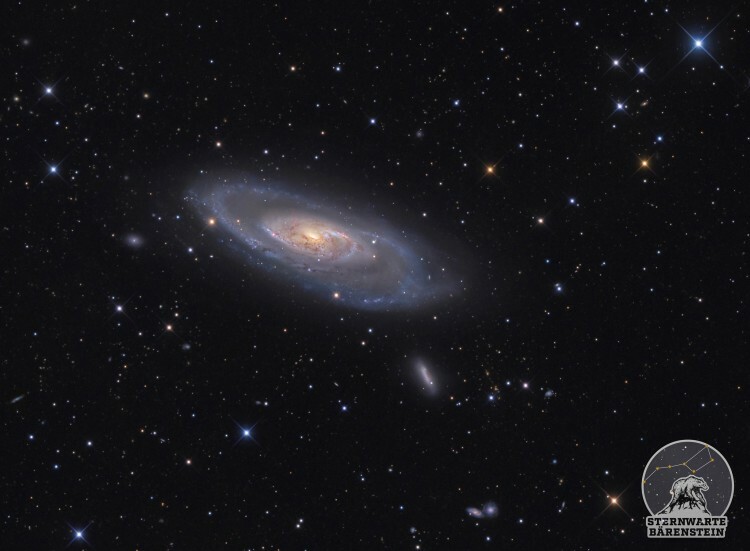 Although I have to admit to seeing the core of M31 in the live view screen was actually the better feeling. 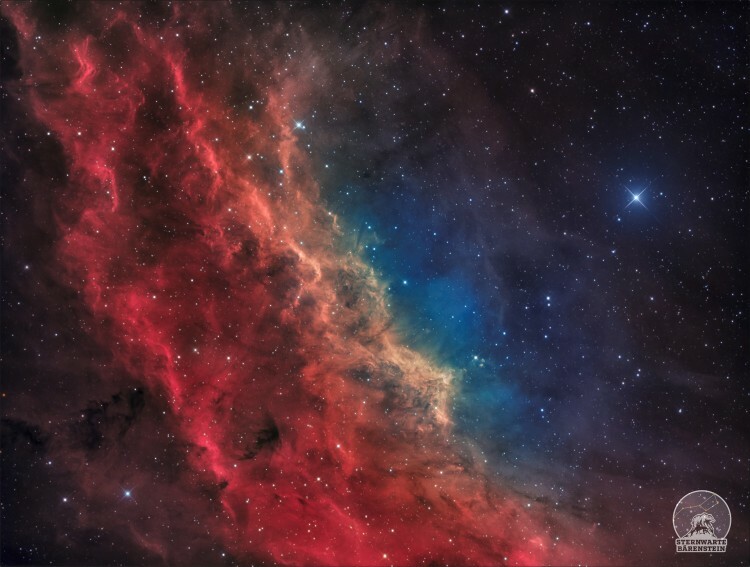 Q4: We know there are two directions in astrophotography, planetary and deep sky. 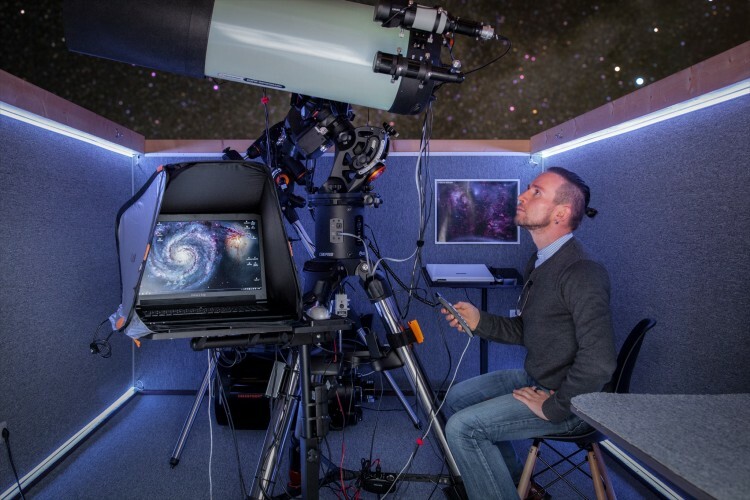 May I ask why do you choose deep sky imaging as your major? I think it was the variety of deep sky objects that made me specialize in interstellar nebulae and large galaxies. I don’t like to capture the same object twice, because it quickly bores me. Of course it’s always a challenge to photograph a planet even more perfectly, but not for me. I look for challenges in the objects deep in the vastness of space. Objects and structures that have rarely or perhaps never been seen on photos are my motivation and my passion. Q5: We know you are a graphic designer, very familiar with some image post-processing softwares, such as Photoshop. 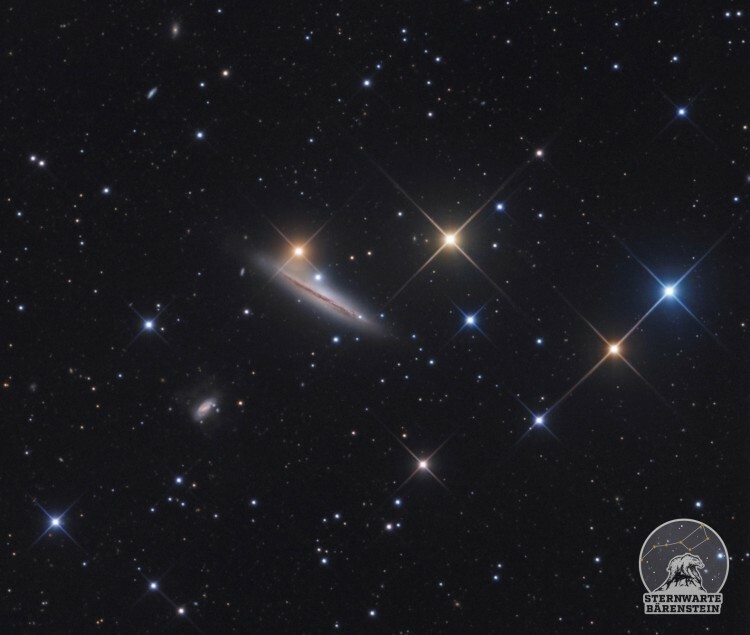 Is it an advantage that you can learn faster than others in astronomical post-processing? Maybe some good concept in graphic designing might help? I can answer this question with a big YES. Years of experience with Photoshop not only helps to speed up image processing and achieve exactly the result you want. It also helps to develop new techniques that nobody has thought of before. My advice to all Photoshop users is to use the software as often as possible. Don’t just look for tutorials for astronomy, but for everything you can find. Every trick helps you to edit photos more efficiently. Q6: What equipment do you use currently? Do you have any pictures that could show us? I am currently working with a Celestron RASA 11″ Astrograph with a focal length of 620mm at f/2.2 on a CGEpro mount. Guiding is done with a MGEN. As camera I use an ASI1600MMC. I have to check if I can find a photo. But for you it is a pleasure to make a new photo. 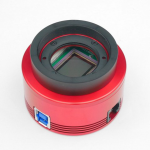 Q7: A lot of people prefer refractor, Newtonian or RC for DSO imaging, why you choose SCT with hyperstar? The question is simply answered. At my location in Germany I have a relatively good sky, on average Bortle 3. However, the weather conditions are extremely bad. I often don’t get a clear sky for months. My record was half a year completely without a single clear night. I needed a fast optic and a good camera to be able to use the few clear nights optimally. Such an aperture ratio cannot be achieved with a large refractor, so I chose the RASA Astrograph from Celestron. I have been working exclusively with ASI cameras for 2 years now and I have always returned to the ASI1600mmc. I have tested a lot of ASI cameras, including color models, but my favorite is the 1600mmc. With this camera I simply get the best results. You could say we’ve become very good friends over the years. The knowledge about exposure time, gain and offset alone is not something you can learn in a few days, it also takes experience and patience to find out the perfect settings for your own setup. Q9: Which ASI camera is your favorite? And why did you choose it? As already mentioned above, my absolute favourite at the moment is the 1600mmc. This camera is the perfect counterpart to my Celestron RASA. Both are made for each other. I’m really looking forward to a successor of the 1600mmc. A little bit higher quantum efficiency and full well capacity and I would be in astro heaven! Q10: What is the hardest part in DSO imaging? And how to get over it? I think that astrophotography in general is one of the most complex forms of photography. No other requires so much knowledge, patience and technology. For me personally, despite the technical adversities, the most difficult part is always to be patient and to continue, even if the weather doesn’t allow a single photo for months. Stubbornly pursuing my goals and always keeping an eye on the project to get the perfect shot. Of course, every astrophotographer is familiar with hundreds of other problems that can drive us to despair night after night. Every time you solve a problem, a new one emerges. I don’t know of a single colleague for whom everything always runs perfectly. Patience and devotion is the way to the goal. That sounds poetic, but it’s true. 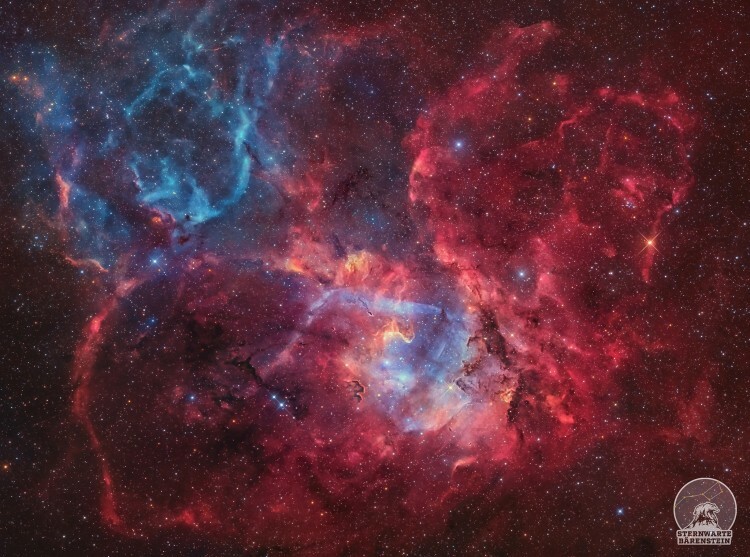 Q11: We know that you found a new nebula in sky and named it “Finn‘s nebular”, could you tell us more about this? My second major passion in astronomy is the discovery of previously unknown cosmic objects. I’m constantly searching for undiscovered planetary nebulae, galaxies and reflection nebulae. In my choice of objects, unusual objects are high on my list. Through my research and the search for new objects, I even discovered a new reflection nebula in the constellation Camelopardalis in September 2018. 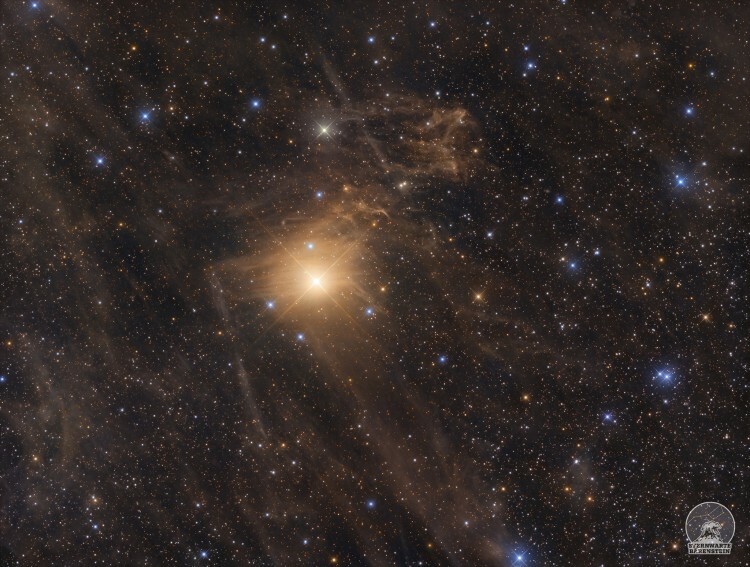 The nebula is a very rare yellow-orange reflection nebula around the variable star BE Camelopardalis. 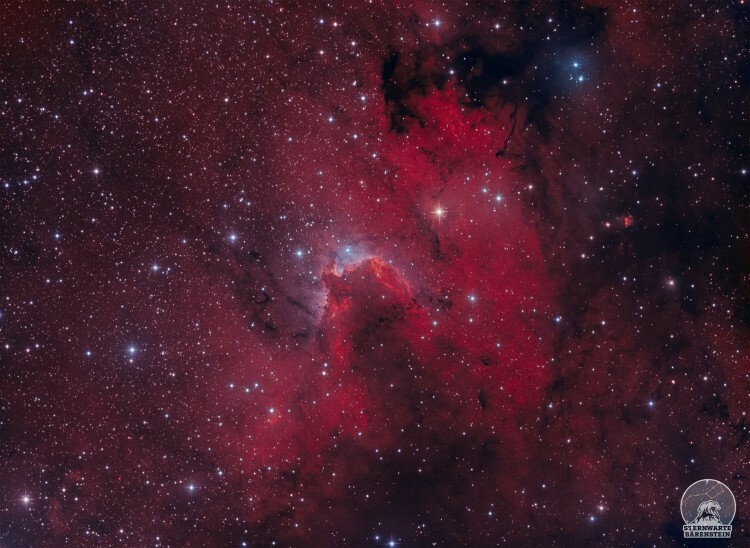 The new nebula was named ″Finn’s Nebula“, for my little nephew, and was exposed for over 35 hours. Q13: Do you know our ASIAIR? If yes, what features do you like us to add to it in the further? ASIAIR is an innovative technology and I was able to deal with it a little. It’s exciting what this little box is made for! 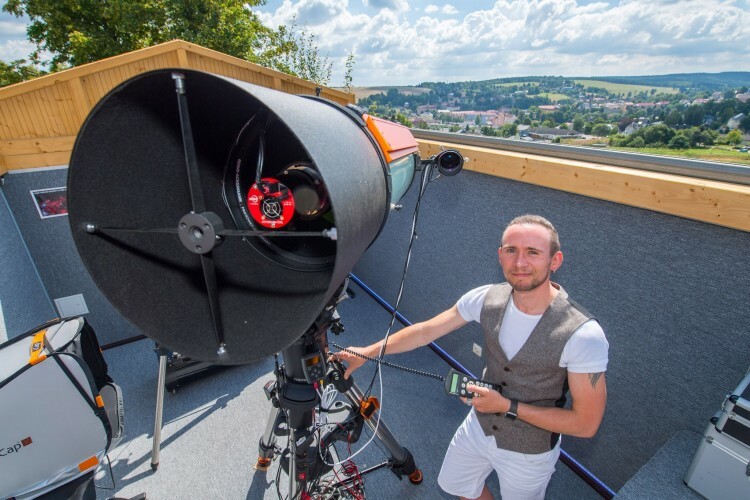 What particularly impressed me was that it functions as an interface for so many devices on the telescope. Maybe ZWO could integrate other apps besides SkySafarie, e.g. Stellarium, which I like to use myself. Q14: What’s your impression of ZWO? 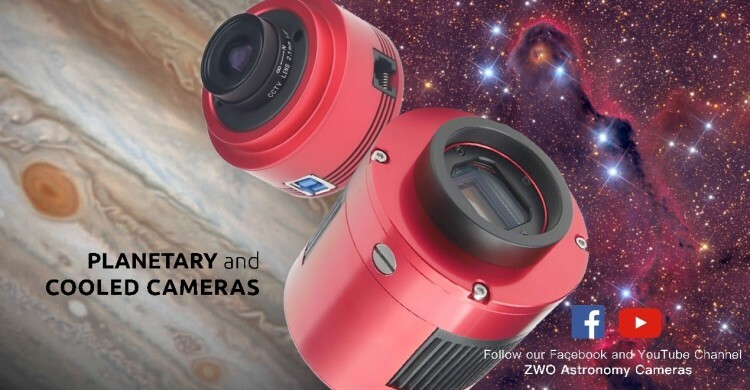 ZWO is something special for me, because within a short time the company has managed to establish CMOS sensors in astro cameras among a broad mass. Other manufacturers followed suit, but ZWO has also set standards in marketing and product development. I am confident that ZWO will continue to develop many exciting products in the future. I’m already very excited! Q15: You photos are fantastic. 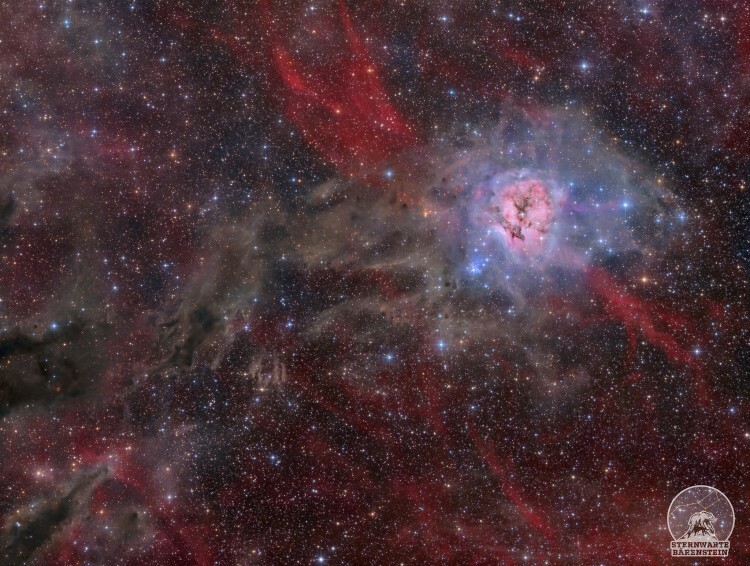 Will you join in Greenwich astronomical photography competition next year? Thank you very much for the compliment! I was very lucky to be shortlisted for the competition in 2018. In the meantime I have taken some interesting photos, which hopefully fit well to the competition. So I will submit some photos again. And who knows, maybe the jury will like one of my photos. In any case, I would be very happy to be shortlisted again. Keep your fingers crossed for me! We hope that Marcel can win the prize in 2019 with his great works, hope all the world can know him and his story. MARCEL, great photos, great setup. I am interested how you match up your ZWO1600mmc with the 11″Rasa adapter plate, what is your ideal adapter/optical train? Hi there. Marcel could answer it on facebook, please send a email on facebook to Marcel Drechsler. Hey Marcel your pictures look truly amazing but surely testify as well of your processing skills. Using pixinsight? Very pleased to receive your message.Have a nice day and clear skies!